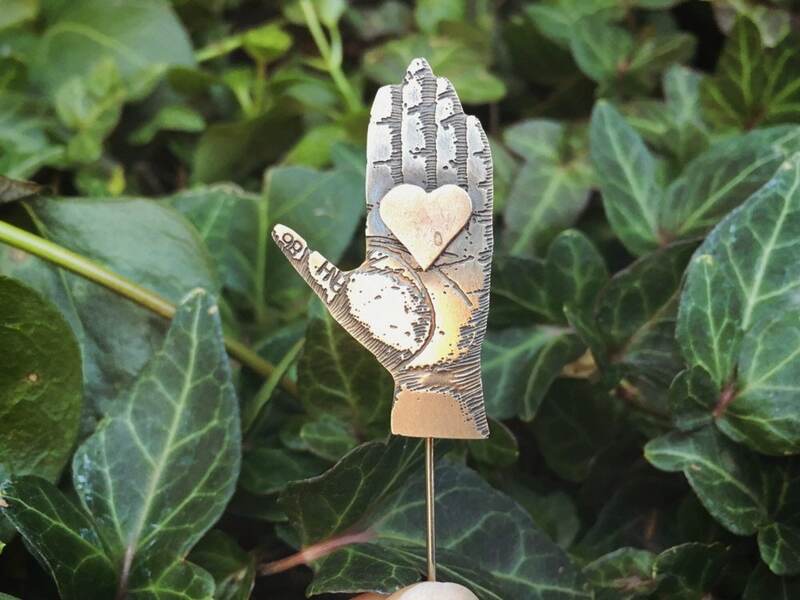 This 1980s pin by Thomas Mann is small yet stunning, the silver-tone nickel cut out hand all hand-etched in a realistic style. 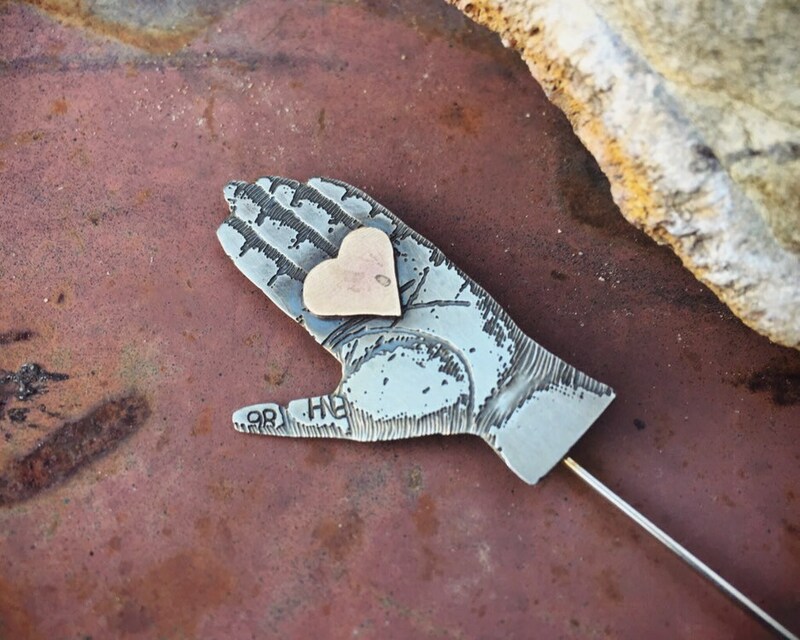 A brass cut out heart is overlaid onto the palm, the idea of hand-to-heart, or giving a beloved your heart. Mann's jewelry was the forerunner of today's steampunk trend. The TM DESIGN logo is on the back. While this design is still in production, we know this one is older from the 86 stamp on the thumb. 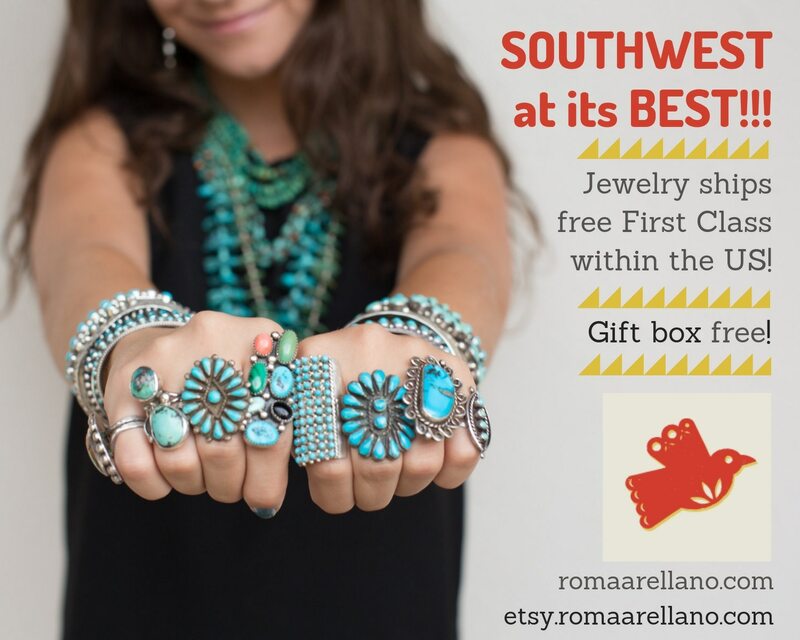 From the Craft in America website: "Thomas Mann is an artist who works in the medium of jewelry and sculpture. 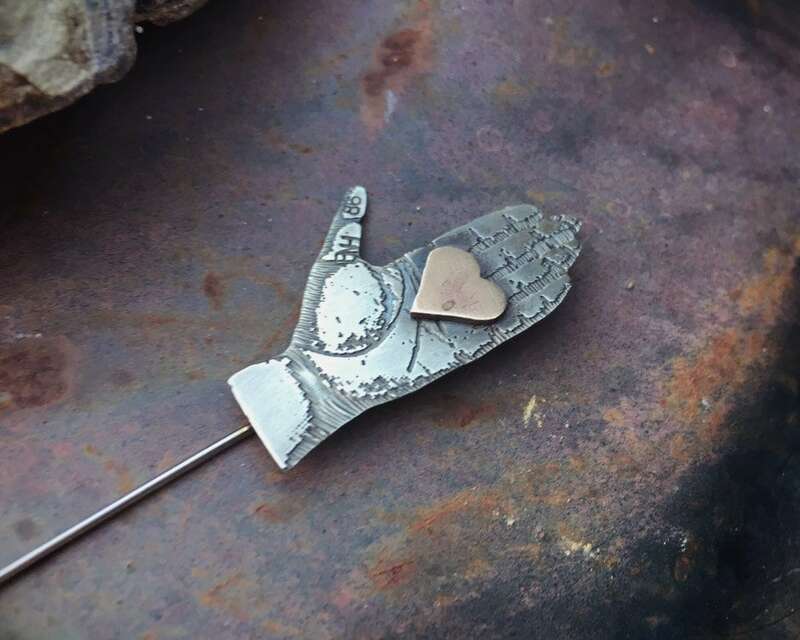 The primary design vocabulary which he employs in the making of jewelry objects combines industrial aesthetics and materials with evocative romantic themes and imagery. He calls this design system Techno Romantic. Though it is not the only design mode in which he works, it is the one for which he and his work is best known. Thomas Mann lives and works in New Orleans where he oversees a jewelry design and production studio, a sculpture studio, and gallery. 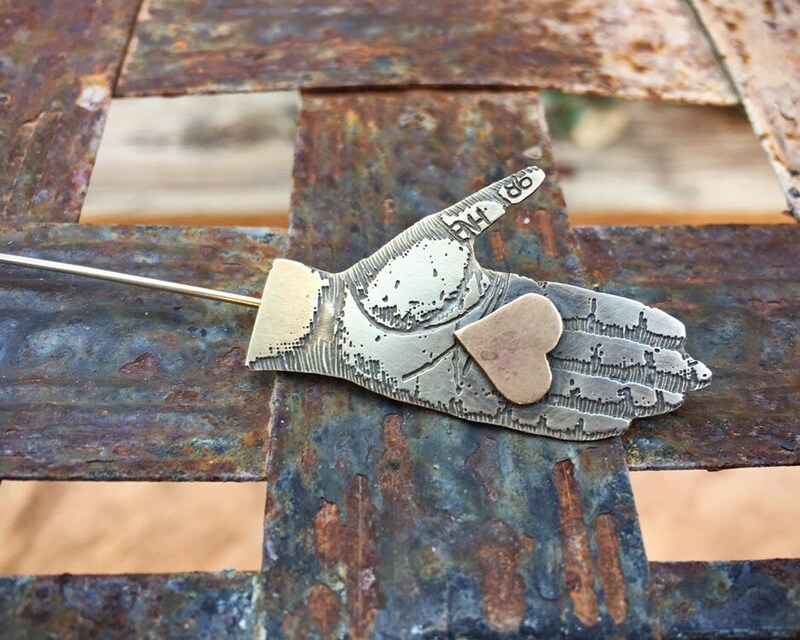 He currently exhibits his jewelry and sculpture with some 250 galleries and stores in the United States and abroad, and at premier craft events nationwide." 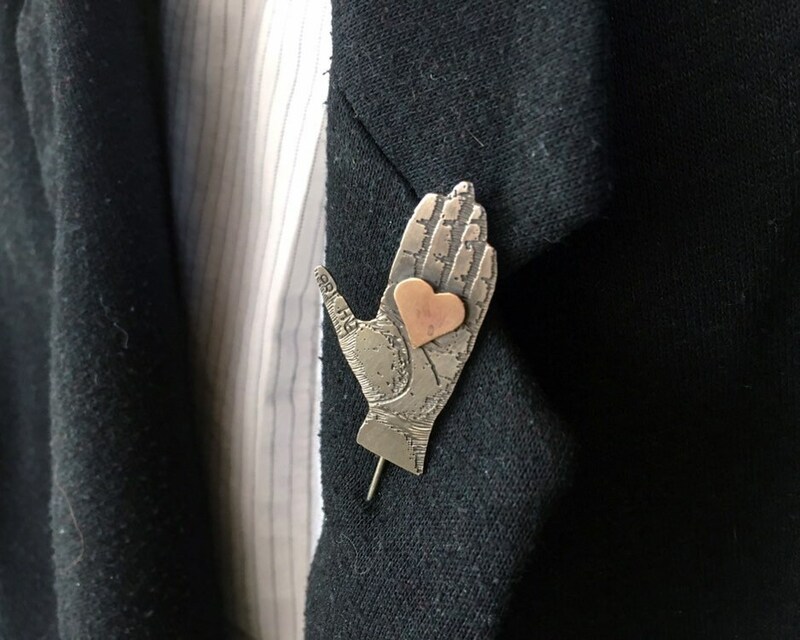 This hand pin is what I consider "jewelry with meaning." 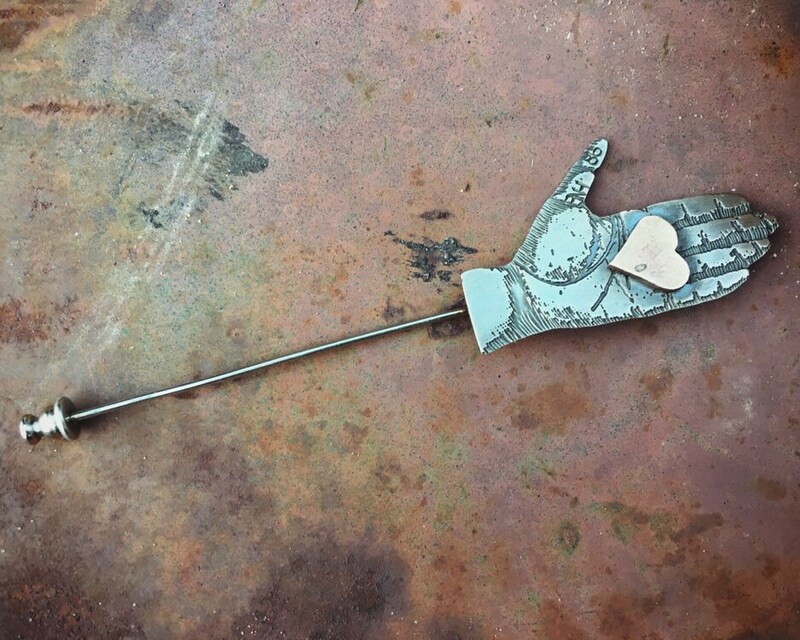 Give to the writer whose words flow from heart to hand. Give to the love of your life, whether partner or family member, to whom you give your love, unconditionally. 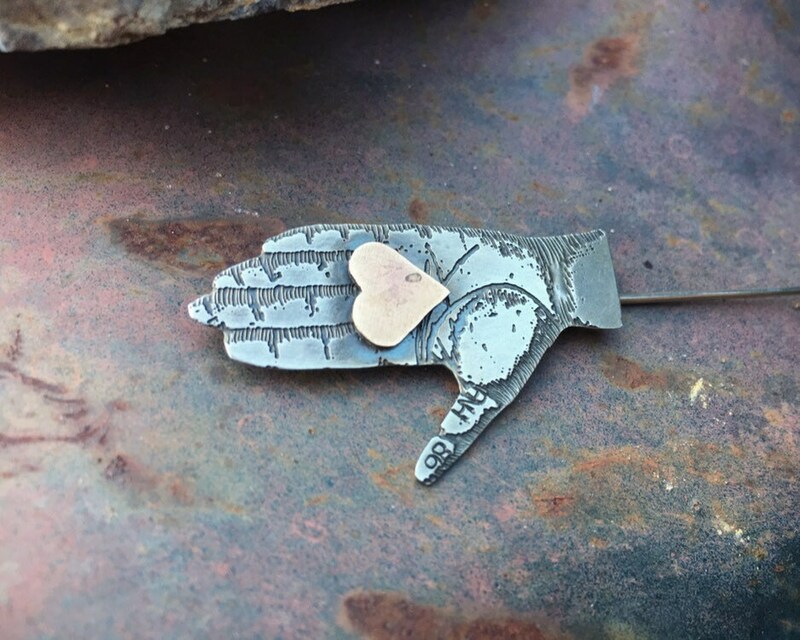 Or wear it yourself, symbol of your openness, your desire to never bully or hurt, and the fact that you are a loving being. 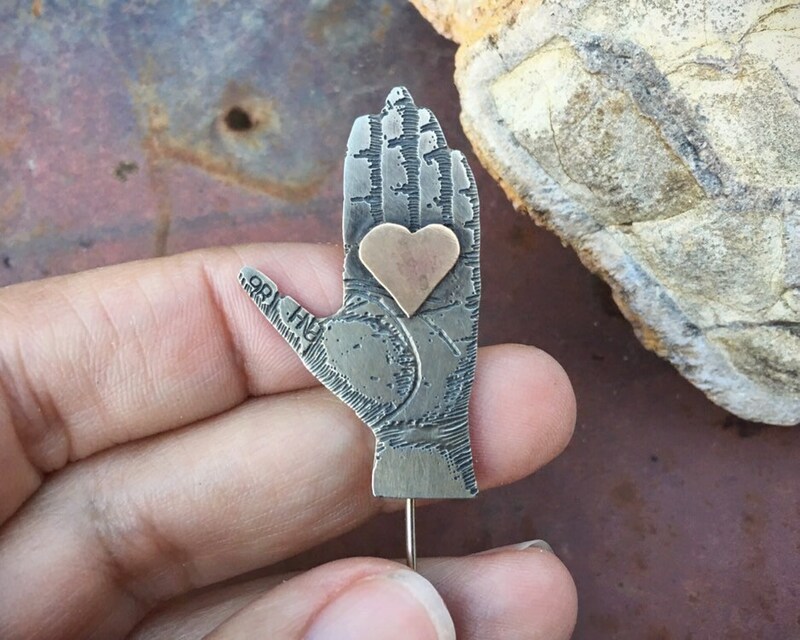 It is small, the hand itself measuring 1-5/8" tall by 7/8" wide at the widest point. 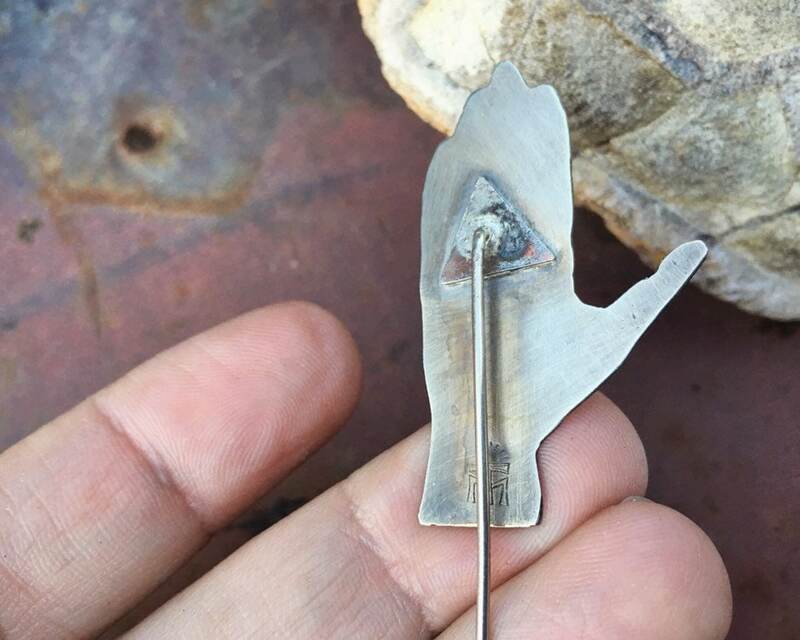 The pin extends another 2" from the bottom of the hand. In good vintage condition.